HAPPY 95th BIRTHDAY ART SHAY! We are extremely proud to wish Art Shay a very Happy 95th birthday! 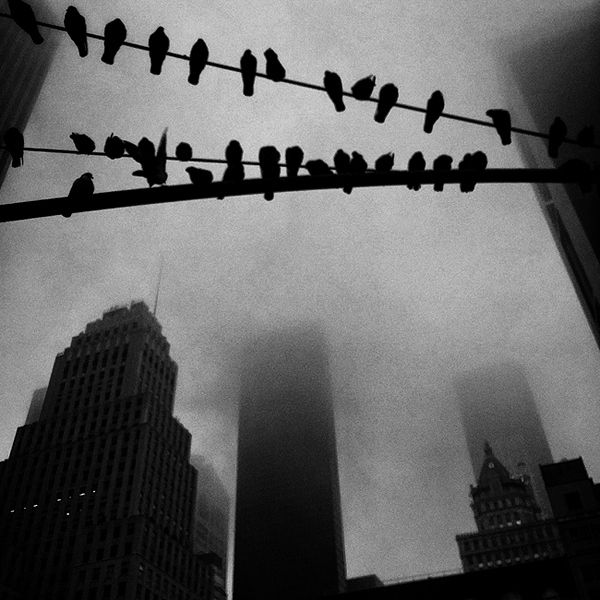 Visit us in booth # 534 during the AIPAD Photography Show this week in New York to see his acclaimed photographs! Art Shay is an American photographer and writer. Born March 31,1922, he grew up in the Bronx and then served as a navigator in the U.S. Army Air Forces in World War II, during which he flew 52 bomber missions. Shay joined the staff of Life magazine as a writer, and quickly became a Chicago-based freelance photographer for Life, Time, Sports Illustrated, and other national publications. He photographed seven US Presidents and many major figures of the 20th century. Shay also wrote weekly columns for various newspapers, several plays, children's books, sports instruction books and several photo essay books. Shay's photography is in permanent collections of major museums including the National Portrait Gallery and The Art Institute of Chicago. Extremely honored to have the lead photograph in Friday’s New York Times review of the AIPAD2017 Photography Show: “Aipad’s Photography Show Grows Up”. Hope you can visit us at Pier 94 through Sunday, booth #534. The exhibit Steve Schapiro:Eyewitness continues through April 30 at Monroe Gallery in Santa Fe. TicketsPurchase Show and Vernissage tickets online for the best value and to avoid lines. Don Hunstein died at home on Saturday morning, March 18, aged 88, after a long illness . Lebrecht Music&Arts have put out an obituary. 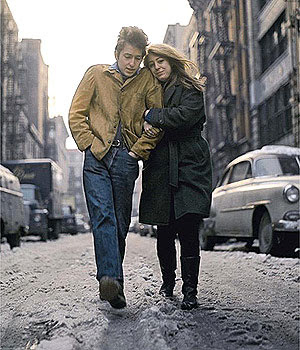 Don Hunstein’s iconic photographs have become symbols of an era. In the history of music photography, Don’s work during his 30 years at Columbia records is unsurpassed in its scope and breadth. Through his subtle humor and quiet nature, he was able to record many great moments in music history. He photographed the famous and the not so famous. Hundreds of album covers and behind the scenes work. His photographs documented a rare time when musicians spent time on their art, rather than their publicity. Don Hunstein grew up in St. Louis, MO and attended Washington University, graduating in 1950 with a degree in English. After college he enlisted in the US Air Force and was stationed in Fairford, England, and assigned a desk job. It was this assignment that allowed him to travel around Europe. He began photographing casually, taking pictures to send home to his family, and then with the help of a Leica M3 purchased in the PX, and inspired by a book of renowned street photographer Henri Cartier Bresson’s work, his hobby began to take him on a lifelong path. After a year in Fairford, Don was transferred to a base outside of London. There he joined a local camera club and took evening classes at London’s Central School of Art and Design, becoming influenced by the artists and designers whom he met there. Don’s most notable role was as chief staff photographer for Columbia Records during its heyday in the realms of rock and roll, jazz and classical music. Fortunately for Don, this was a time when the company was under the direction of Goddard Lieberson, who thought it important to document in photographs the cultural history of the music of their time. So he had the opportunity to do far more than album covers and publicity shots, covering their recording sessions and even visiting them on their home turf. Don had the ability to listen with his camera. Instinctively he understood that to capture artists at their best moments, patience, trust and humility were needed. This ability to set both new comers and experienced stars at ease in his presence is evident in his photographs, which captured the intimate personal moments as well as the quintessential portraits. Don’s access to a broad range of musicians, in a wide variety of musical styles, was unparalleled in the photographic world. Over the course of his career at CBS, he shot hundreds of album covers and documented the recording of many of the great albums in music history. This Sunday, March 19, Tony Vaccaro will make an appearance at the Brooklyn Museum in a panel discussion about Georgia O'Keeffe. The program kicks off the museum's "Georgia O'Keeffe: Living Modern" exhibit at 2:00 pm in the Iris and B. Gerald Cantor Auditorium on the third floor. Fifty-seven years ago Look Magazine sent Tony and writer Charlotte Willard to Taos, New Mexico, for a feature length article on this adventurous modernist painter. O'Keeffe put the two into private rooms on her "Ghost Ranch" for one week. But Tony has no photographs from the first two days. O'Keeffe expected another photographer to accompany Willard and when she saw Tony, she gave him the cold shoulder. He politely kept his camera by his side. He fixed her clothes washer, leveled and set the drapes, and gave the cook a few days off by preparing amazing dinners: penne, sausage, and broccoli, and bistecca fiorentina. Then, one night, O'Keeffe asked Willard if she knew anything about bullfighting. Willard didn't, but Tony said, "I knew the great Manolete. I took his photo." O'Keeffe swiveled in her chair at the head of the table and faced Tony with twenty questions about the bullfighting master. O'Keeffe then ignored Willard completely. By noon the next day, Willard left for New York alone. Tony stayed on for the week and took ten rolls of film. 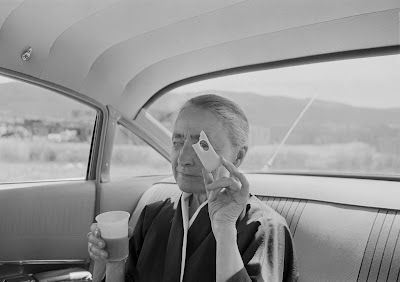 Tony became O'Keeffe's personal chauffeur over the second half of his visit, and he had his camera ready pre-focused on O'Keeffe and kept one eye on her in the mirror. One day, a desert cloudburst forced them to picnic in the car. 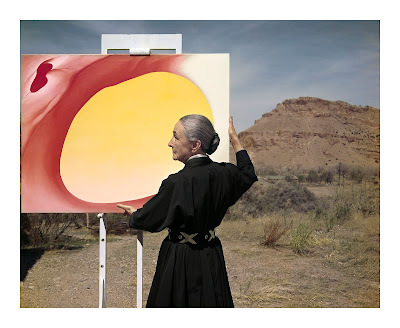 When O'Keeffe looked at the world through her Swiss cheese, Tony lifted the camera and shot. Tony Vaccaro's photographs of Georgia O'Keeffe will be included with many of his other iconic photographs in an exhibit during the AIPAD Photography Show, Monroe Gallery of Photography, booth #534, March 30 - April 2 at Pier Tony, now 94, will be present in the booth, please contact the gallery to confirm times. Santa Fe--Monroe Gallery of Photography, Santa Fe, NM, will dedicate much of its exhibit at the 2017 AIPAD Photography Show to images that exemplify photography as history and photography as visual evidence . Recently, documentary evidence has been denied or disputed by those in power, and coupled with the new administrations attacks on the press, the exhibit is a reminder that photojournalism is a vital and necessary component of a free society. Steve Schapiro, along with many other photographers of the civil rights era, not only brought awareness to the injustice of racial discrimination; they made people feel the injustice. 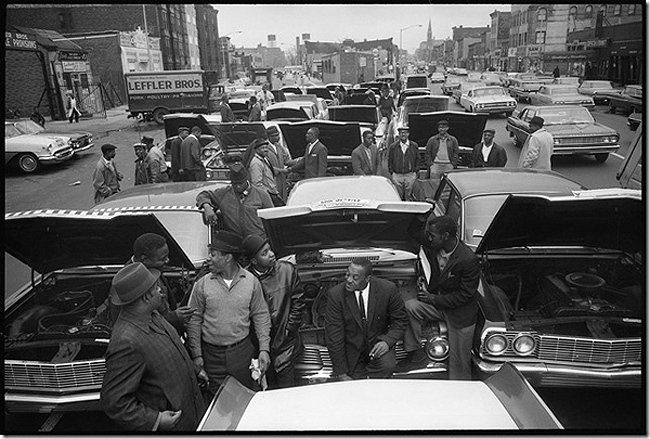 The Gallery will exhibit several of Schapiro’s iconic civil rights era photographs, including James Baldwin in Harlem (1963), Martin Luther King marching for voting rights with John Lewis, Reverend Jesse Douglas, James Forman and Ralph Abernathy, Selma, (1965), and John Lewis in Clarksdale, Mississippi (1963) alongside several photographs of the 2015 refugee crisis in Greece, the Balkans and Germany by Ashley Gilbertson, VII photographer and author of the book Bedrooms of The Fallen. 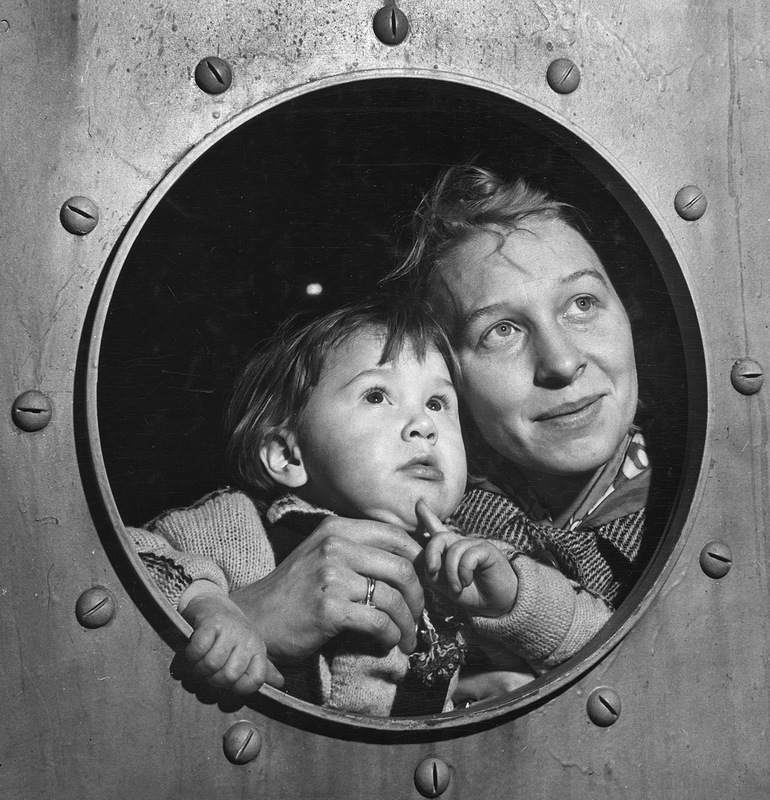 There will also be vintage photographs of refugee immigrants to the United States by Irving Haberman and Eddie Adams, as well as a large format color print of the abandoned Ellis Island Tuberculosis Ward by Stephen Wilkes. Rounding out our exhibit are significant prints from two 94-year old master photojournalists, Art Shay and Tony Vaccaro. At the age of 21, Tony Vaccaro was drafted into World War II, and by the spring of 1944 he was photographing war games in Wales. By June, now a combat infantryman in the 83rd Infantry Division, he was on a boat heading toward Omaha Beach, six days after the first landings at Normandy. Denied access to the Signal Corps, Tony was determined to photograph the war, and had his portable 35mm Argus C-3 with him from the start. For the next 272 days, Tony fought on the front lines of the war. He entered Germany in December 1944, a private in the Intelligence Platoon, tasked with going behind enemy lines at night. The HBO documentary film “Under Fire: The Untold Story of Private First Class Tony Vaccaro” tells the story of how Tony survived the war, fighting the enemy while also documenting his experience at great risk, developing his photos in combat helmets at night and hanging the negatives from tree branches. 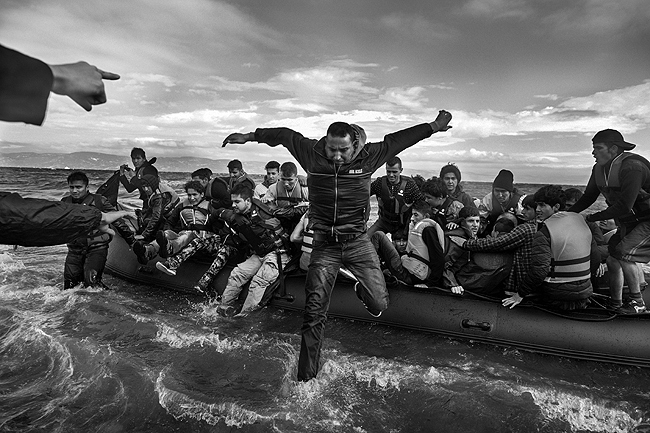 The film also encompasses a wide range of contemporary issues regarding combat photography such as the ethical challenges of witnessing and recording conflict, the ways in which combat photography helps to define how wars are perceived by the public, and the sheer difficulty of staying alive while taking photos in a war zone. After the war, Tony remained in Germany to photograph the rebuilding of the country for Stars And Stripes magazine. Returning to the US in 1950, Tony started his career as a commercial photographer, eventually working for virtually every major publication: Look, Life, Harper’s Bazaar, Town and Country, Newsweek, and many more. Tony went on to become one the most sought after photographers of his day, photographing everyone from Marilyn Monroe and Sophia Loren to Pablo Picasso and Frank Lloyd Wright. Now 94, Tony still carries a camera and will be present in our booth #534 on Friday afternoon, March 30 during the AIPAD Photography Show. 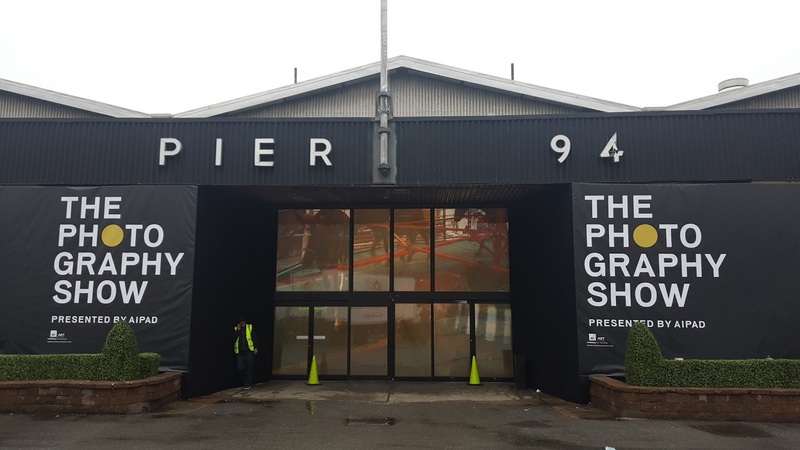 Monroe Gallery of Photography will exhibit in booth #534 during the AIPAD Photography Show March 30 - April 2, 2017.